Karmak partnered with Daimler Trucks North America (DTNA) and Transwest, a multi-location commercial truck, trailer, and RV dealership, to host a Karmak Fusion user group meeting at Transwest’s headquarters in Brighton, Colorado. 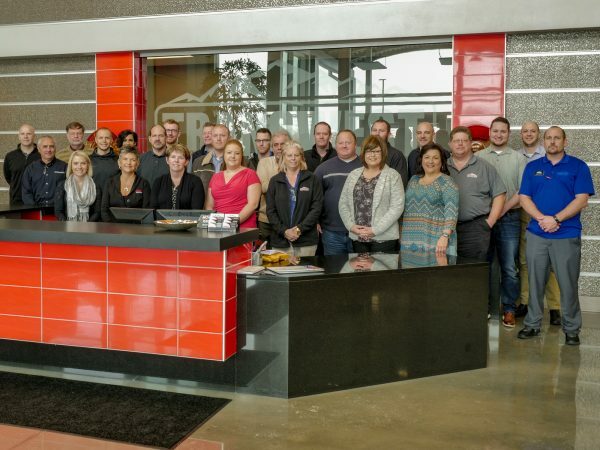 Attendees from across North America got a chance to tour Transwest’s state-of-the-art facility, take part in Fusion training, and meet for in-depth discussions with both Karmak and DTNA around industry happenings. Founded in 1990, Transwest is a premium dealer of RVs, horse trailers, commercial trailers, heavy and medium duty trucks & more. Transwest’s dealership operations represent the Freightliner, Western Star, GM and Isuzu brands, to name just a few; they have ten full-service dealership locations across America’s Heartland that include sales, financing, and parts and service. For more information, please visit www.transwest.com. Daimler Trucks North America LLC, headquartered in Portland, Oregon, is the leading heavy duty truck manufacturer in North America. Daimler Trucks North America produces and markets commercial vehicles under the Freightliner, Western Star and Thomas Built Buses nameplates. Daimler Trucks North America is a Daimler company, the world’s leading commercial vehicle manufacturer. For more information, visit daimler-trucksnorthamerica.com.